SEOUL -- Compared to three years ago when they were crowded with big-spending Chinese package tourists, South Korean duty-free shops are slack, but their sales hit a record high last year mainly thanks to Daigou, a proxy-purchasing group of middlemen in China's e-commerce business. 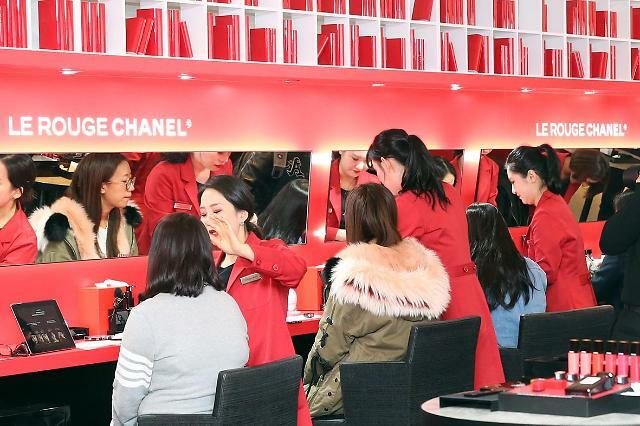 Data released by the Korea Duty Free Shops Association on Monday showed that sales at duty-free shops rose 34.6 percent on-year to a record high of $17.23 billion in 2018. The increase was attributed to Daigou middlemen who purchased jewelry, expensive cosmetics and luxury brands. Chinese tourists started shunning South Korea en masse after Beijing's informal trade and economic retaliation intensified in April in 2017 when US troops in South Korea brought in an advanced missile shield. In 2017, about 4.16 million Chinese visitors arrived in South Korea, down 48.3 percent from the previous year. Beijing has gradually eased trade and other restrictions.